Cécile Mignault is a soft-spoken lady with golden hands. Her specialty? Creating, restoring and bringing back long-forgotten lamps and lampshades. Favouring custom work and unique pieces, she has just been registered on the website Zelit, the craftsman’s bible. 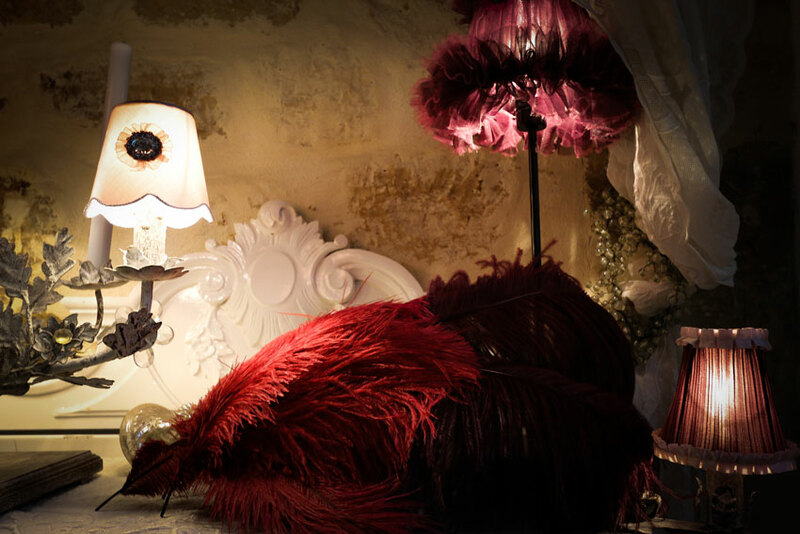 In love with the Parisian free spirit, she injects details reflecting her glamorous universe into her creations: silk and velvet silk for an intimate atmosphere, fabrics with sequins for a festive touch, feather for a flirty interior, suede for a warm and cosy atmosphere. Lightings with subtle sensuality, always flattering!